Loved this recipe! I used unsalted buter so it didn't have that buttery taste, and you also have to make sure the butter is softened at room temperature. Don't try to cheat and melt the butter in the microwave - you will get soup. This was an excellent frosting! I hit the jackpot when I found this one! It has a light and smooth texture and was perfect for my son's birthday cake. The flour mixture should be cooked until it is thick, like gravy. It doesn't have to form a "ball" as I don't know what that means either, like one of the reviews I read. Let it cool to room temperature b4 adding to the butter/sugar mixture. I followed this recipe exactly and used granulated sugar. If you beat the frosting long enough, you won't get that gritty taste and the sugar dissolves if the flour mixture is just the right temperature. It did not take the full 15 minutes to beat though, more like 6 minutes. 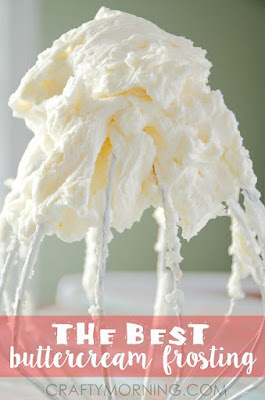 If you give it a chance, this is a very good frosting!